Throughout your life you have amassed a fair amount of estate. It may not look like much in your eyes, but there is a difference you have caused in the world. You may not have much wealth to speak of, but whatever things you have accrued, even if just memorabilia, will need to be inherited by someone, or destroyed upon your death. This is more so when it comes to your digital wealth. In order to prepare adequately for your eventual demise, you should follow these guidelines. In order to have your digital assets sorted out, you will need to list them. This will include all online services you use that you want taken care of, important data and its location, and even miscellaneous data like online social accounts. After listing them down, you will find what you need taken care of in your absence like online financial services and online social profiles that you wish to be maintained. You will need to include these wishes in your will so that they are carried out. Be cautious that you do not share passwords and other sensitive matter on the will, since it is a document in public record. This sensitive information can be shared in private trustee letters. After having done the sifting of what is important and not so important, be sure to list them on your will so that they can be handled correctly. 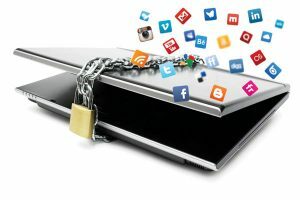 Some of the digital presence you have like social accounts, will need to have a trusted contact that can be given power to control them if you want them preserved upon your death. Such an online account is Facebook. You can also leave discrete instructions to have the accounts you do not want managed when you are gone to be deleted upon inactivity.